Hello again! Along with many other projects, I hope to include a documentary on Sasquatch sightings on Lake Superior. Over the years I have heard quite a few when in the paranormal field (Dark History) and a friend nudged me this morning with an idea I have had on the back burner for quite a while now. He said, "What's your thoughts on making a collective of Bigfoot stories from locals on Lake Superior?" That right there was enough to bring the back burner's hot pot to the front. It has always been an interesting concept making a Sasquatch documentary, and has often peaked my interest watching other docs. 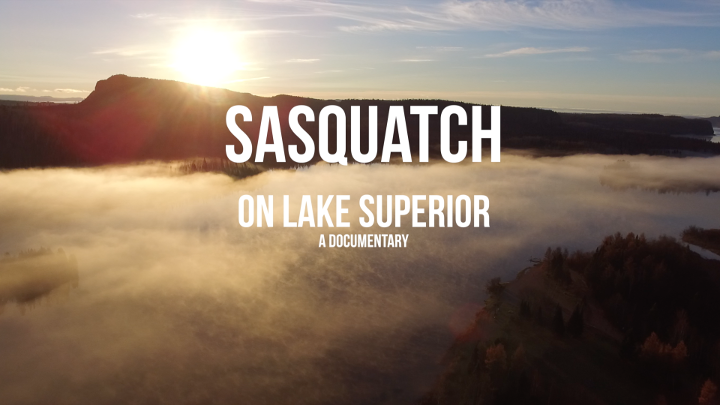 So I created a new title for a documentary called: Sasquatch on Lake Superior. If you are new to the blog, or have read for the last year or so, there are stories on here covering some very strange sightings of different beings around the great lake, as some would recall. The documentary would include in camera interviews cut with sweeping shots over the lake and trees to striking jump cuts to intensify the stories from local people, loggers, drivers and hunters. I hope those who have relayed their stories to me in the past will come forward and become part of the story. I think it could be quite an engaging and entertaining documentary. I hope to have something ready for July or August 2017, as long as we have people interested in actually being on camera, as some can be quite shy when a camera is involved. Here's hoping! I will keep this posting updated should I get this one off the ground! So far as of Tuesday April 12, 2017 we have 4 stories coming from the Lake Superior region. And I just received a link to APTN on submitting the documentary to potential programming. I hope I can match all their criteria and have it aired! Also I am hoping to get it aired on Shaw TV as well. Within the vast acreage of forests around Lake Superior, I have also decided to expand the search area to include a completely amazing story which otherwise would not be heard. Timmins, ON is a long way off, but this story is a definite MUST SEE and I know everyone will be amazed by it! With that being said, the search area covers the Lake Superior Northwest region, about the size of the lake it self. Thursday April 13, 2017 I traveled to document our first account of Sasquatch. All the while my notifications were going off, when I finally reached my destination I had a ton from social media, also Kris from CBC had called and left about 5 messages. I am to meet up with him Monday morning for our Social media article! I am so happy for the support received, and glad word is getting around about it! As of As of Friday April 14, 2017 I am cutting together the first account and syncing up audio. I plan on doing this after each event is documented, so when its time to put the pieces together, it's a simple drag and drop into the timeline. 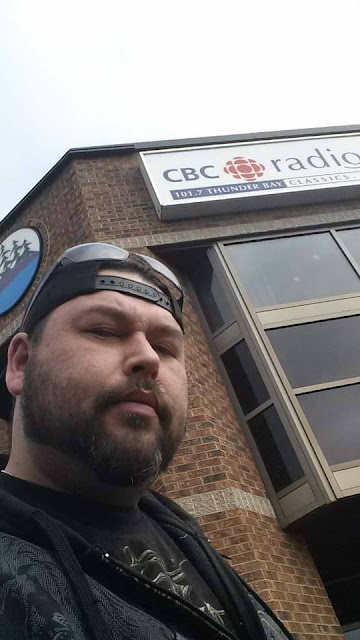 As of Monday April 17, I am getting ready for a social media article with Kris from CBC! This will definitely help spread the word and with any luck I will get more people on board to get their stories to me! I had a great time being interviewed. 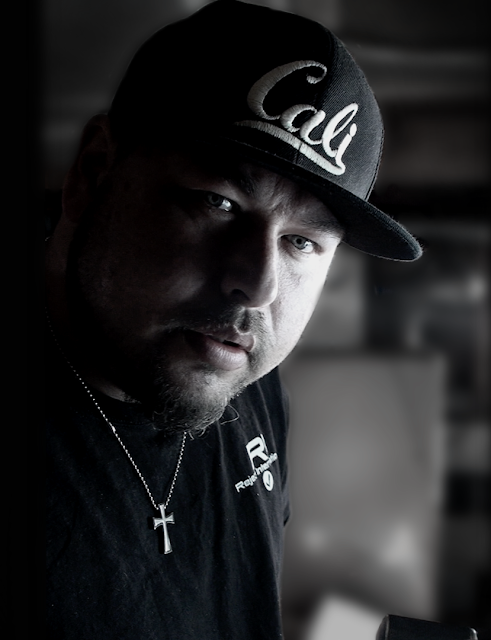 We talked my paranormal history, and getting into film making. Also we talked bout what got me interested in doing a Sasquatch documentary. It was definitely a new experience going into an actual radio studio. The program will air April 18, 2017 at about 7:50 AM on 101.7 FM! If you are in the listening area I invite you to tune in! As of April 20, 2017, we have had a few stories come in, and I thank those who reached out with their accounts since the CBC article. The stories coming through have been pretty cool, but we definitely need people willing to tell them on camera. 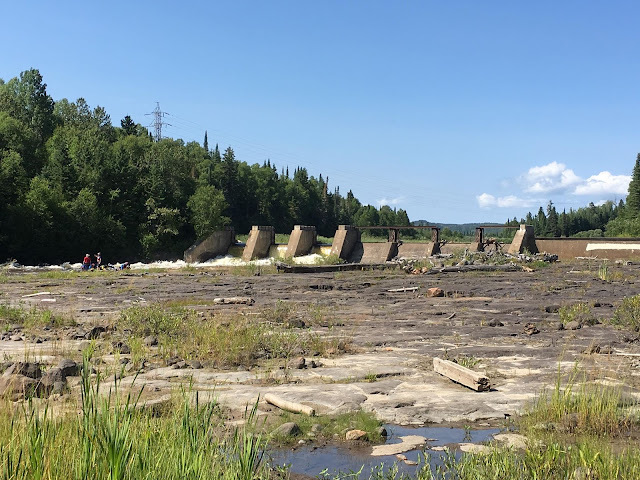 Also worth nothing is the incident at Lac Seul which arose on April 15 at Lac Seul - Frenchman's Head where locals had found tracks and structures in the woods. The girl who had posted on social media is keeping us informed on any new developments from that area. This evening I am heading out to document yet another incident coming from Highway 11. It seems there is something about that particular section of highway, as my story stems from this area as well in 2012. Also this morning I had received 2 messages, one regarding photos being collected for NYU, and an incident way up at Snelgrove Lake involving a plane crash and the survivor being tracked. It's too bad the incident wasn't closer to the region as I would love to include it. Found another article moments ago mentioning Sasquatch on Lake Superior. It is clear people are listening and anticipating the upcoming documentary! April 27, 2017 - We have a few more stories coming in from the Lake Superior area. I had a nice conversation with the gentleman stating what he has seen, and he is very enthused about people knowing about the Sasquatch in the area. Also another story coming from the same spot as well. I am glad people are sharing their experiences so openly! April 28, 2017 - Another story will be added to our documentary! I hope to get a look at the photos taken during the sighting, and if we can get permission, to show them publicly on the documentary. If you are just hearing of the documentary, you are encouraged to contact my public page listed at the bottom of the article and the side bar. We have 5 stories making it into the final cut! And as of June 22 Our documentary is now complete. It is my hope we can get the newest trailer shared everywhere for the next month as we get closer to our release date of AUGUST 1, 2017. Below you will find trailer 2! Please share! Thank you! As of August 20, 2017, I am so surprised and honored that so many people would view our documentary! Currently with 31.5K views, it appears we have created a runaway hit! Being an indie film maker, I am use to views raging from 10 to the usual 900, but this is insane. Most views are coming directly from YouTube searches and suggested, and not from Facebook or Twitter. It won't be long if this trend keeps up that we will hit 100K 2 weeks! At some points we are getting 660 views per hour, which is crazy. As I stated before on Twitter, the following local people have made this film a success, who bravely stepped forward into the public eye telling their amazing stories, Patrick McGuire, Dave Paterson, Denis Bresolin, Jason Susin, and can't forget my Camera B op Kyle Turner! The culmination of posts, CBC coverage and the mention from Cottage Life article, and word of mouth has made Sasquatch a monster. As of today we are #2 on page 1 of search result: "Sasquatch Documentary" on YouTube. Thanks for watching & reading!